We open with Ren Hu leaving after saying those harsh things to his baby sister. He then goes back to his office where he demands his assistant look for Dr. Jin in Japan. Meanwhile, Atsuko, annoyed at not being able to find Ryuta barges into her father’s office demanding the truth. Her father at first says that Ryuta is helping out at the Hokkaido branch, but Atsuko knows he’s lying. Kenji tells her that Ryuta wanted to go to Taiwan to settle some things for his mother and will come back when he’s done, so Atsuko should be good and wait for him. He then leaves to go to a meeting and Atsuko notices a letter on his desk. When Kenji comes back after his tiresome meeting he realizes the letter is gone. He then sees a post-it from Atsuko saying she is going to Taiwan to look for Ryuta. In Taiwan, Lao Tu shows the dismal books to Tai who says they should try publicity. Lao Tu likes this idea, but Long is not happy with this idea. Their hot spring has a 100 year tradition—why the need to advertise? Well…let’s start with the fact that your business is tanking despite it’s history? This irks Tai who says that the can just sit and wait to go bankrupt then since it has nothing to do with him. This hurts his father and surprises Lao Tu since “Tian He” is the successor of the spring. Tai says that they must do their best to keep going so “someone” can be the successor then. Lao Tu then goes up and begs Long to reconsider. Long goes and leaves and Tai complains about his father’s pride. Lao Tu tells him not worry and he will print the leaflets the next day. How can they with no money? Lao Tu then spreads open his sweater in which he has patches of money hidden. That’s how they will pay! Kenji calls up the Long Hot Springs in Taiwan looking for Ryuta. Of course Ah Pan has no idea who Ryuta is as there is no one there by that name. Kenji doesn’t understand this at all—how can she not know who Ryuta is? He screams for her to get Ryuta and she hangs up on him since there is no Ryuta there. Kenji calls back and starts yelling again as he has something important to tell Ryuta. Ah Pan screams that there is no such person there and hangs up yet again. Ah Pan, Lao Tu, and Tai go to the street to hand out fliers. Tai is upset that his father is too proud and stubborn to help. Lao Tu says that is because there needs to be someone at the springs in case of sudden reservations. The three then notice a crowd of young males that have gathered around Ren Mei. 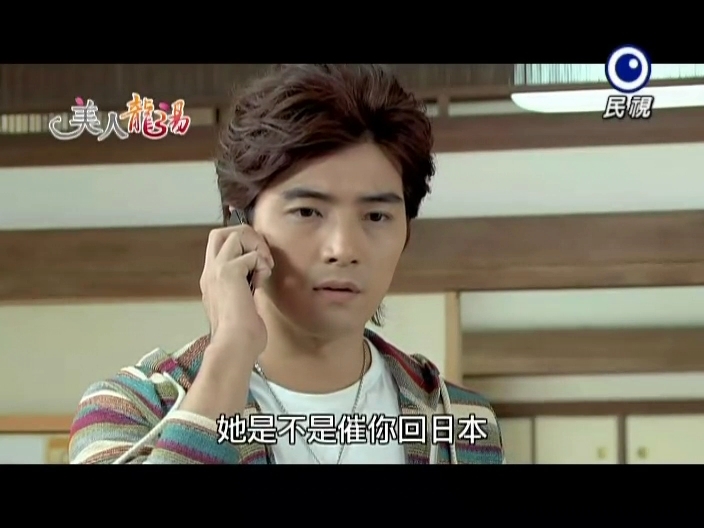 Tai is immediately jealous and storms over after seeing Ren Mei give out her cell number to one of the guys. He asks what she’s doing and when she replies she’s handing out fliers, he demands to know why she gave out her phone number. Because the guy said he wanted to know more about the hot springs. Tai points out the springs’ number is on the fliers so she didn’t need to give out her number. But the guy asked for it. Aiyo. Ren Mei has a lot to learn. Tai tells her that she can’t do such things because it makes her appear easy. He then storms off. Back at the springs, Ren Mei is angry and wondering why Tian He was acting like that. Why can’t she give her phone number to others? 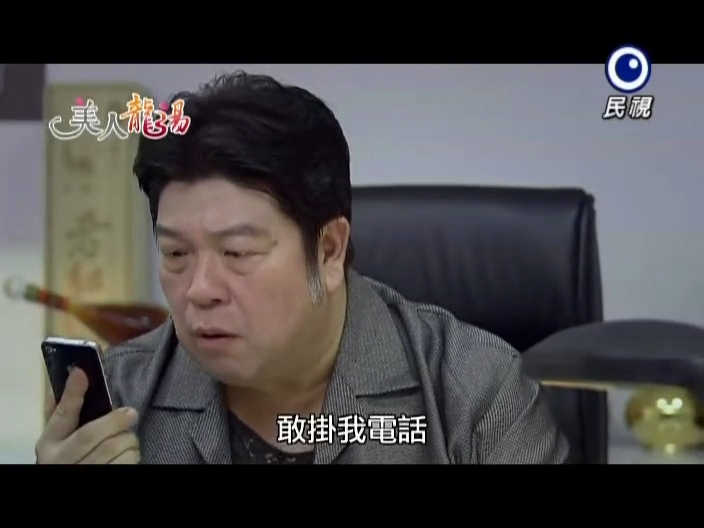 Ah Pan laughs and tells Ren Mei that giving out a phone number can be the start of love. Ah Pan is shocked to learn that Ren Mei has never been in love. But then again, Ren Mei was fat—who would like her? Ouch. Ah Pan then wonders if there isn’t someone that Ren Mei had been eyeing. Ren Mei recalls a rainy day where she came across the sickly Tian He. Yeah, we all know she’s liked Tian He for awhile. But…I think Tai’s more suited for her than his elder brother. Ren Mei goes outside to ponder Ah Pan’s words and wonders if she really likes Tian He. Enter Tai wondering why she’s spacing out. He asks if she’s anticipating a phone call, this confuses her at first, but then she recalls the what happened earlier. She asks him why he’s so interested and he quickly denies any interest. She then gets a phone call. Tai immediately leans in to listen in and gets very happy when Ren Mei rejects the guy until he finds out it was just to an insurance agent trying to hawk insurance. 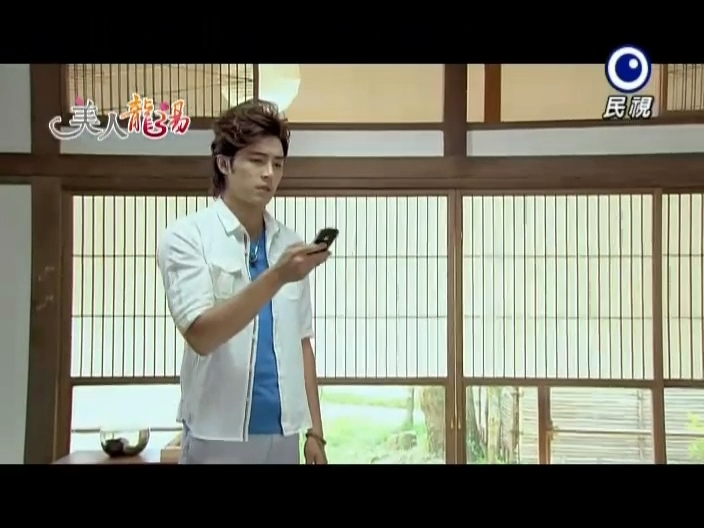 Tai paces back and forth in Tian He’s room wondering why he’s so bothered about Ren Mei and her cell phone. Why should he care who she talks to? He then recalls his own cell. He notices that it’s dead and wonders if Kenji might have called. He quickly plugs it in. Meanwhile, Atsuko has arrived in Taiwan looking for a hot spring hotel that houses the most Japanese guests. Will she end up being pointed to the Longs? Granny Zhao is staring at a picture of her son and complaining about how the children’s mother led him to his death. Sigh. I hate that kind of attitude. It was just an accident. Shakes head. Zhao tells her son that Ren Hu has finally returned home and Ren Mei has successfully lost weight. Now all she has to do is await their weddings. Enter Ren Hu wondering why Granny Zhao was looking for him. Zhao wants him to go on a blind date. 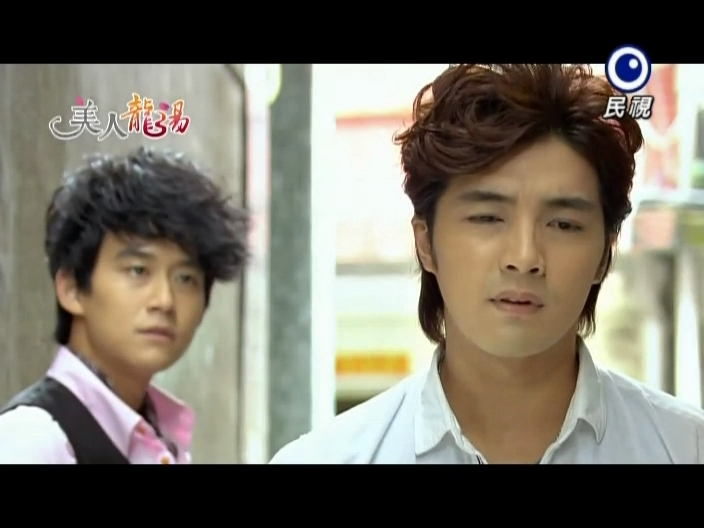 Ren Hu immediately refuses and Zhao reminds him that his father was married by Ren Hu’s age. She will die sooner or later and doesn’t want to die with him unmarried. Ren Hu says he will marry the woman he chooses and Zhao says he hasn’t shown any interest since the girl he liked was snatched away by Tian He. 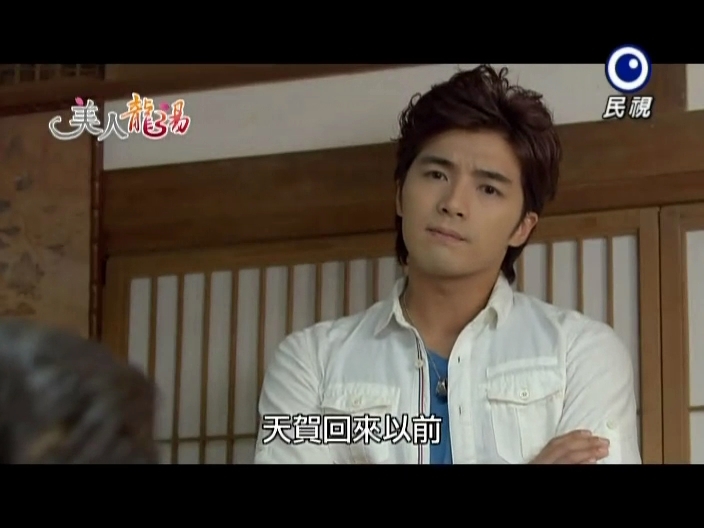 Ren Hu vows he will fall in love on his own and won’t lose the girl this time. Ren Hu goes downstairs where he receives a letter saying that Dr. Jin was found in Japan, but they cannot find out who the person is who he is with. So Ren Hu hasn’t discovered Tian He in Japan yet. At this time a Japanese guest gets drunk and out of hand and starts propositioning girls. Enter Atsuko who quickly dodges the man and pushes him down and complains about how bad he’s making Japanese people look. His friends come and drag him off and Atsuko apologizes to Ren Hu in Chinese saying that not all Japanese people are like that. 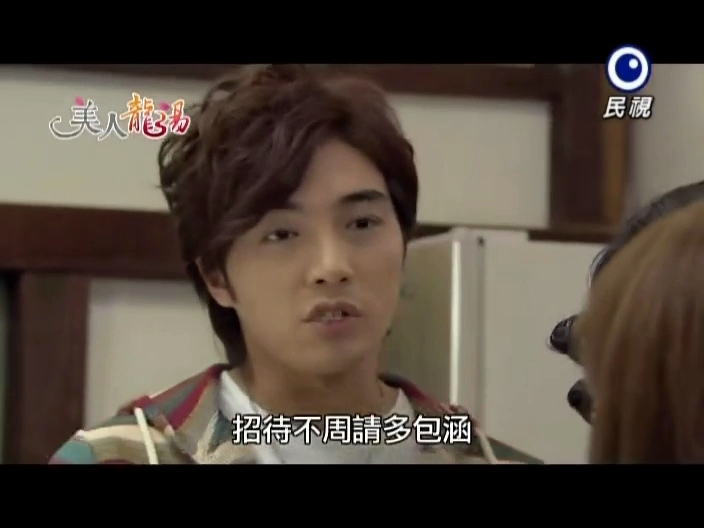 Ren Hu seems immediately taken by the girl and impressed that she speaks Chinese so well for being Japanese. He introduces himself and holds out his hand, which she refuses, shocking him. She then asks if there are any vacant rooms. It takes a minute for this to register, but Ren Hu does regain his calm. Atsuko goes to the room and says that it is totally not Ryuta’s style at all. There is no way he’d stay in such a place. Meanwhile, Ren Hu stands outside her door and smiles as he recalls her earlier actions and poise. Yep, Ren Hu is interested in her…too bad she only has eyes for Tai/Ryuta. Atsuko comes out in a robe to go to the springs and asks what he wants. Ren Hu smiles and says he wanted to thank her again for earlier. Is that it? Atsuko then quickly leaves to go to the hot springs. The next morning, Ren Hu carries up a breakfast tray to Atsuko’s room only to learn that she’s checked out already. He sees the guest list and learns her Taiwanese name is Beiyi Wenzi. Meanwhile, Atsuko is looking at a map of the village and trying to figure out where he beloved Ryuta has run off too. She screams and Tai springs awake. Weird. Why does he feel like he heard Wenzi calling him? Tai goes out with the others to hand out fliers again when Ren Mei gets another phone call. He thinks its from the pig head from yesterday. Tai intentionally bumps into her causing her to drop and break her phone. Tai is horrified to learn that the call was from Kate and not the guy. He goes to apologizes when he spies Atsuko in the distance. He quickly turns Ren Mei around and tries to hide behind her. She wonders what he’s doing, but he tells her to be quiet. Atsuko gets closer and Tai decides to run for it before she can see him. Unfortunately for Tai he runs smack into Ren Hu. He tries to pass the other guy, but Ren Hu stops him. Atsuko gets closer and closer and Tai pushes Ren Hu into an alley. Ren Hu demands to know what he’s doing and Tai tells him to be quiet. 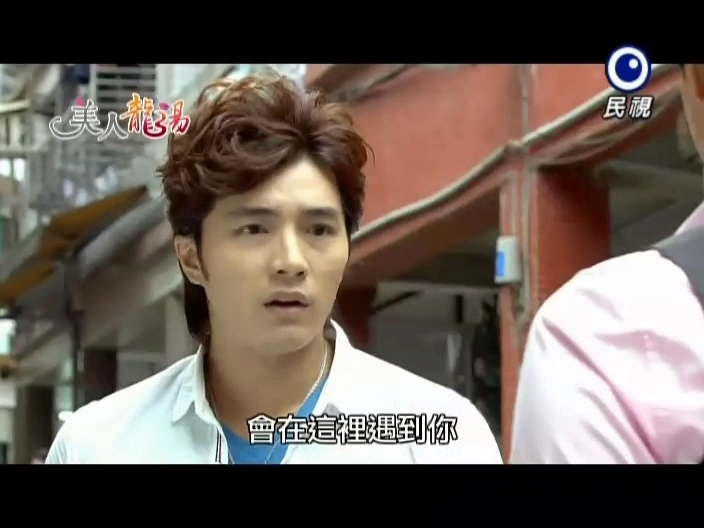 Atsuko passes by and Tai tells Ren Hu to be polite to him from now on. Ren Hu demands to know why Tian He did that to him in their second year of college (it’s a test to prove that Tai is not Tian He). Tai pauses. Crap. How’s he supposed to know. He then recalls find a picture in one of his brother’s books and makes a guess—because Ren Hu was afraid of fire. How did he know? Because he’s Tian He of course! Tai then quickly makes his escape while Ren Hu pounds the wall in frustration. Close call. Lao Tu and Ah Pan are handing out fliers still when Ah Pan gets a call from the police saying Ah Lun was caught stealing (he was the thief from earlier who stole from Ren Mei and Tai). Ah Pan quickly rushes off while Lao Tu complains about no one taking any of the fliers from him. Atsuko then comes by and notices the fliers boasting the traditional Japanese onsen (hot springs) experience. That is definitely more suited to Ryuta’s tastes than a modern spa. Do they have a vacancy? Of course! Tai rushes back to the Long house and calls Kenji. Unfortunately, Kenji drops his cell into his goldfish bowl and Tai wonders what is going on. Why is Atsuko there? He tries calling again and this time Kenji’s phone doesn’t even ring. Ren Mei shows Atsuko to her room. Atsuko loves the room, which relieves Ren Mei. Atsuko then asks if there have been other Japanese customers. Ren Mei says they have had no business of late. Strange as Atsuko thought “he’d” definitely be there. What does the Japanese girl mean? She won’t explain it to Ren Mei. Thus Ren Mei leaves. She recalls that Tian He said he wasn’t feeling well earlier and goes to knock on his door. She ends up touching his chest and this causes both to be embarrassed. Ren Mei then asks if he’s all right. At first Tai is confused, but then recalls his lie from earlier. He’s fine. He then asks about her cell and she tells him not to worry as it didn’t work properly anyways. She then asks him to be the chef for dinner as there is a guest and Ah Pan is nowhere to be found. Tai quickly agrees. Lao Tu is freaking out since there is no vegetables and Ah Pan is not there. Plus, he’s used up all of his secret funds for the flier printing. Long tells him to calm down and they’ll solve the problems one by one. Ren Mei is not stupid and quickly comes up with “free” solutions. It’s the season for fish so they can catch their own. Plus, they can use wild ginger flowers to make tempura. Lao Tu quickly rushes out with Ren Mei chasing after him. Ren Mei is horrified at his savage fishing method. The two go from the creek to picking the flowers. They quickly hide from a town gossip and Lao Tu has fun pretending to be a vicious dog to scare her off. Ren Mei takes a tray to Atsuko and is happy that Atstuko likes the food. Atsuko then asks to see the chef since his fish sauce is like Atsuko’s friend’s back home. Ren Mei drags Tai out of his room to greet the guest. 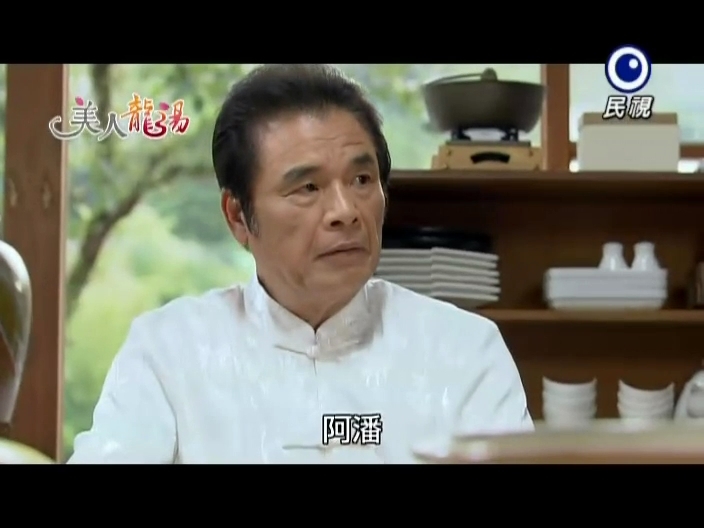 He doesn’t wish to, but Ren Mei insists he do it and rushes off to help the newly returned Ah Pan with dishes. Tai quickly hides when he notices Atsuko, but she sees his shoulder peeking out and goes over to him. He keeps his back turned and points her in the direction of the kitchen. Atsuko goes, but it’s not the kitchen. Ren Mei asks if Tai is done talking to the guest already. Tai goes to reply, but his keen ears pick up on Atsuko’s approach. He quickly drags Ren Mei into her bedroom and shuts the door. Ren Mei asks what he’s doing and Tai says he’s in a predicament and must act against his will. Atsuko comes closer and closer and Tai looks around the room in desperation. He and Ren Mei hide in the closet as Atsuko opens the door. Seeing no one, she apologizes softly and heads out. Tai and Ren Mei get out of the closet and Ren Mei bites his hand. Why did she do that to him? Why did he do that to her? Didn’t he already say he was in a predicament? 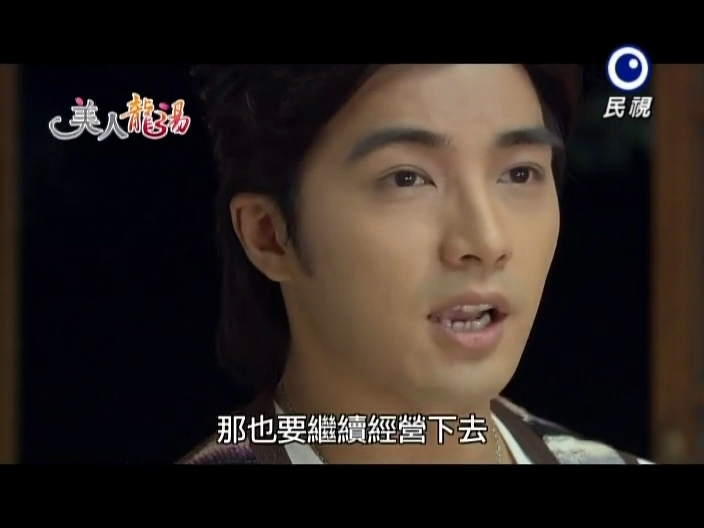 When Ren Mei questions him further about it, Tai says he cannot tell her what it is. At this time, Ah Pan knocks on the door and asks if Ren Mei is asleep yet. The two young people gasp in horror. It would be bad if Ah Pan finds Tai in Ren Mei’s room. Tai tells her not to open the door, but looks like Ah Pan isn’t going away. Tai quickly leaps into bed with Ren Mei. Ah Pan comes in and finds Ren Mei in bed with a thick blanket. Under the covers, Tai is cuddled as tightly as he can possibly be against Ren Mei. Ah Pan wonders why the young girl’s face is so red. Ren Mei asks Ah Pan what the older woman needs silently urging her to speak quickly and go. Ah Pan can’t bring herself to say anything and just says she’ll talk to Ren Mei in the morning. She goes to leave and at this time, the suffering Tai burrows his face into Ren Mei’s stomach earning him a kick which makes him yell. This gets Ah Pan’s attention. she turns back around and wonders what’s wrong with Ren Mei. The girl quickly replies nothing and Ah Pan sees her foot bounce. Leg cramps? Nope. Ah Pan decides to take the heavy winter blanket off Ren Mei’s bed as it will be too hot to sleep, which won’t be good for her. Ren Mei fights her on this, but loses as Ah Pan manages to steal the cover away and Tai manages to escape before he’s seen in the confusion. Ah Pan leaves and Ren Mei looks around for Tai. He managed to sneak into her closet. 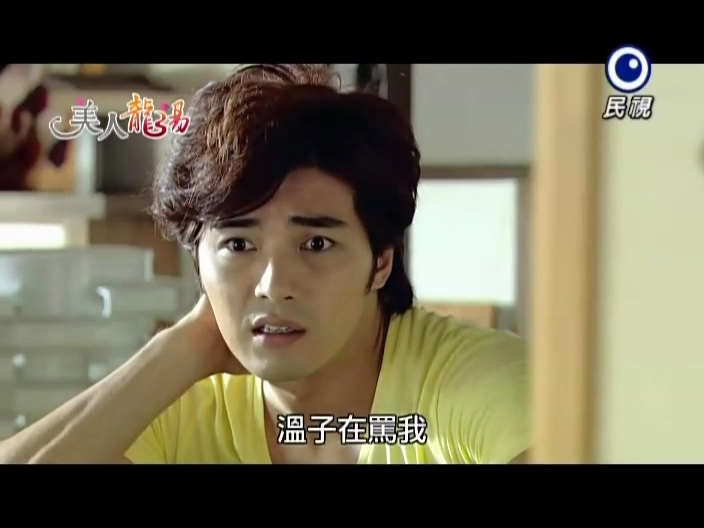 Ren Mei pulls him out and pushes him out of her room. He asks her to listen to his explanation, but she literally slams her door into his face. She says he’s gone too far this time. 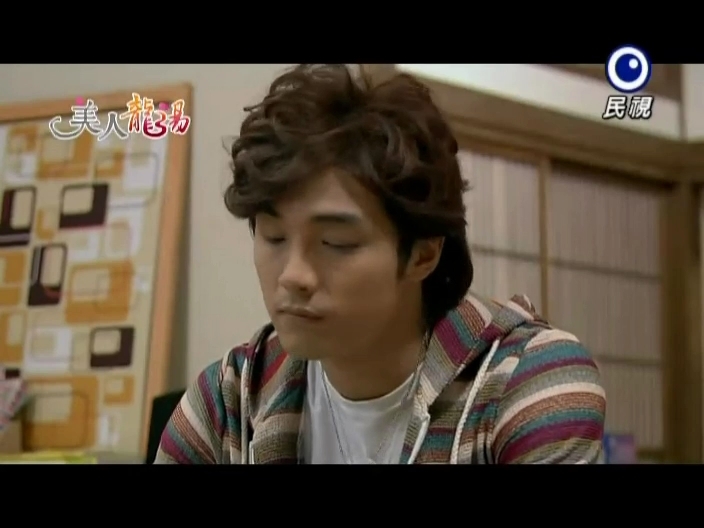 Poor Tai is in pain and wondering why Ren Mei was acting like that. He then goes back to the problem at hand—Atsuko. Tai then recalls Lao Tu telling him about Long chasing guests away for not adhering to the strict rules of the hot springs. Tai decides to make use of his father to chase her out. 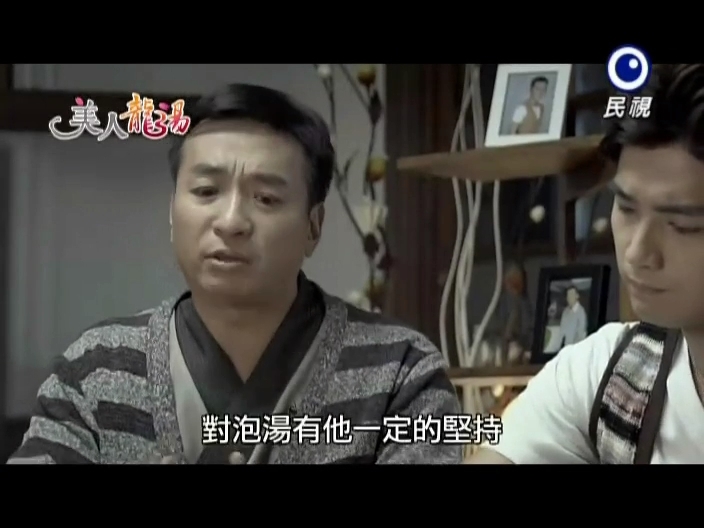 Tai goes to his father’s study and scolds him for not greeting the guest at all. Long says he will just let Tai and Lao Tu do what they want until Tian He returns. Tai is unhappy that his father won’t intervene when he needs him to. What to do? At breakfast the next morning Tai says they need to chase the guest away. Why? They don’t have the food or money to keep the guest there. This makes Lao Tu angrily recall the incident yesterday and he demands to know where Ah Pan disappeared to with the grocery money. Ah Pan says she needed it urgently for her son. Lao Tu accuses her of stealing the money which she insists she didn’t as she only borrowed it temporarily. Long tells Lao Tu to stop his yelling. Ren Mei says they can go back to the mountains for food. Tai says they can’t keep serving the same things over and over. Long decides to sell an valuables for some instant cash. Tai quickly vetoes this idea as it is acting wealthier than they are. But what if word gets out that they chased guests away? Them having substandard service will be worse off. Long decides that they will have to tell the guest she can only stay one night and will have to go somewhere else. Ah Pan and Lao Tu have the bad luck of being the ones to tell the guest she must leave. Before they get the words out, Atsuko hands over a stack of cash. This way they don’t need to chase her out. Meanwhile, Tai is keeping a close eye to make sure he doesn’t run into Atsuko. Since it’s after 12, he believes she should have left already. He then thinks he’d better keep to the hot spring and not go out often to avoid meeting Atsuko in town. At this time, Atsuko comes up behind him and he unthinkingly turns around. Atsuko immediately jumps into his arms. This shocks Ren Mei who was just coming down the hall. What to do, what to do? Wait. He’s not Ryuta right now—he’s Long Tian He. All he has to do is play his brother’s role well. He only speaks in Mandarin and pretends that he does not understand Japanese. Ren Mei asks if Atsuko knows Tai and Tai says no while Atsuko says yes. Tai then says that Atsuko is mistaking him for someone else. He then introduces himself as Long Tian He and Ren Mei confirms that he is indeed Long Tian He and not this Ryuta. Atsuko finds this strange. 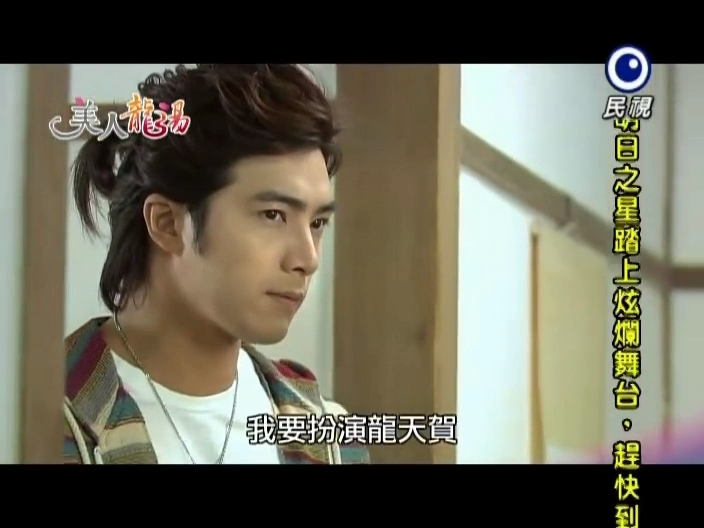 Tai then escapes to his room after telling Ren Mei to look after their guest. In the room, Tai gets a call from Kenji who warns him, belatedly, about Atsuko going to Taiwan to persuade Tai to go back to Japan. Kenji then asks how things are going with Tai’s dad. Tai replies that he had already met with Atsuko and that things are quite complicated there. He then asks Kenji for a favor. Ren Mei and Atsuko sit down and talk. 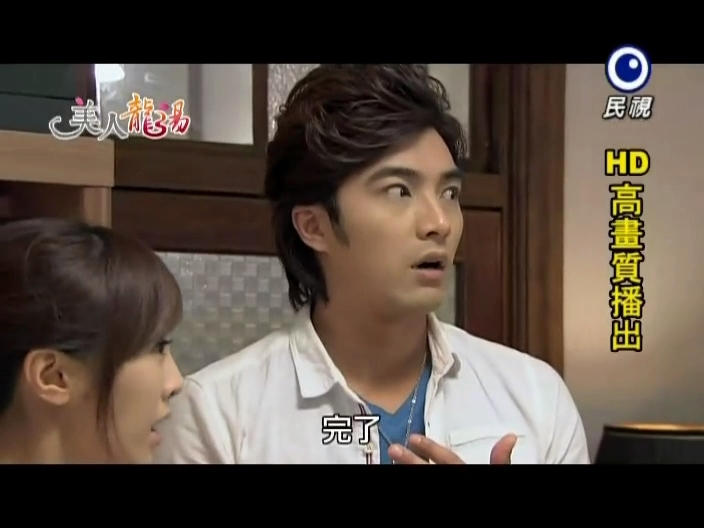 Both are surprised that there could be two people who could look completely the same—one Taiwanese and one Japanese. Atsuko asks Ren Mei to describe Tian He. 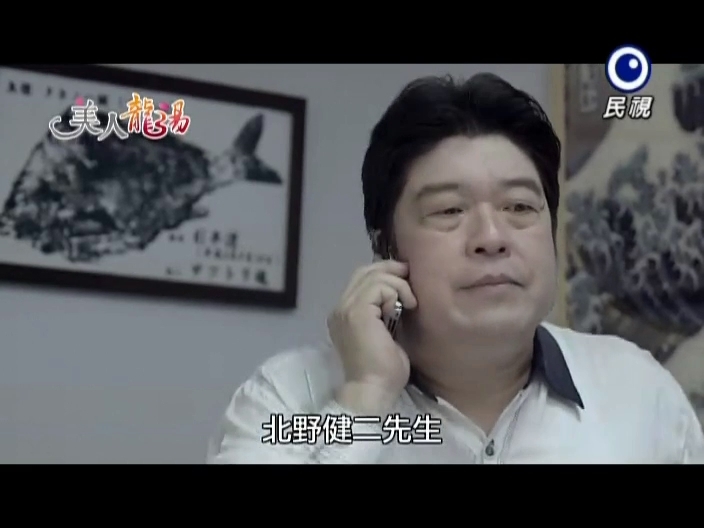 Of course, Ren Mei describes the real, arrogant, cold, and standoffish Tian He. Atsuko then says that Long Tian He seemed polite to her. Ren Mei says this is only because he has recently recovered from his illness and the fact that Atsuko is a guest. Atsuko then describes Ryuta’s personality, which is the complete opposite of Tian He’s. This further proves to Ren Mei that they are two different people and there is no way the Tian He there could be Atsuko’s Ryuta. That night at dinner there is a very unhappy Tai. Lao Tu and Ah Pan apologize and say they couldn’t kick the guest out since she paid them for an entire week. Tai wonders why she would still stay after she met him. He then lies and says he isn’t mad. His ears pick up on Atsuko’s approaching footsteps. He jumps up and starts yelling which confuses everyone. Enter Atsuko who gives everyone her Japanese and Taiwanese names. Tai starts yelling again and every one apologizes for him and his attitude while wondering just what has gotten in to him. They then compliment Atsuko on her Mandarin skills since she’s Japanese. She steals a look at Tai and says she learnt with a friend. Tai then turns to her and tells her to tell him if she needs anything before taking his leave. This helps solidify that Tai is Tian He in her mind…or does it? Tai goes to Tian He’s room and apologizes. He hates treating Atsuko like that, but he doesn’t have any other choice as he has promised his father to be Tian He’s shadow until his twin returns. He then gets a text from Kenji saying things did not go well with Atsuko. He tried to coax his daughter back home, but she wouldn’t listen to him. Atsuko knows her father isn’t telling her everything and hangs up on him. I wonder if she will open the letter that Michiko left for her son or if she will hand it over to Tai unopened. This makes things even more difficult for Tai. What to do with Atsuko? At this time, Long comes and pounds on his son’s door. 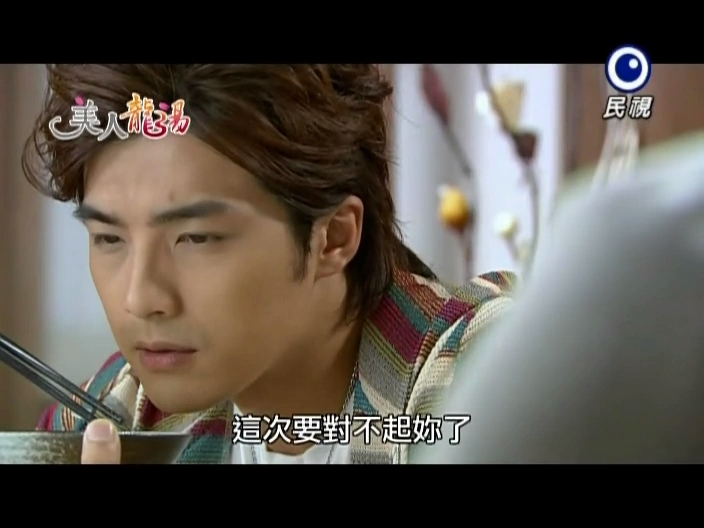 He is unhappy with Tai’s treatment of Lao Tu and Ah Pan. Tai wishes to tell his father the truth, but his ears catch Atsuko’s presence and he lies and just says he’s apparently arrogant and slams the door in his father’s face. This makes him even sorrier, but what can he do since Atsuko won’t give up? The next morning he and Atsuko greet each other. She apologizes for mistaking him for her friend since they look alike. Tai, pretends like he doesn’t know her and takes her hand that she offers in greeting. Atsuko’s eyes narrow. He’s obviously Tai, why won’t he admit it. Tai vows he’ll make her give up and never admit it. After a stare down the two part ways each vowing to come out of the battle on top. To throw Atsuko off his trail, Tai sits down with one of his brother’s thick books. Ryuta hated reading. When Ah Pan and Lao Tu are carrying something heavy, Tai ignores them which is something Ryuta would never do. Tai is then mean to the cleaning Ren Mei which is also something he wouldn’t naturally do. This really helps to confuse Atsuko. How can she tell if it’s him or not. She then takes out her cellphone outside of Tai’s room. Thankfully his phone is on vibration mode, but Tai doesn’t breathe a sigh of relief until the call is ended and Atsuko has left the vicinity. Tai is out with Ren Mei handing out more fliers and Atsuko is still talking Tai. Ren Mei thinks that the man Atsuko is looking for must be her boyfriend. Tai immediately refutes this. What boyfriend? The two are merely childhood friends. Wait. How does he know? Tai quickly lies. Meanwhile, Ren Hu comes across Atsuko. He’s happy to meet Miss Baiye Wen Zi again as he thought she had already left. Okay. I must pause here. Kitano Kenji and his daughter are supposed to be Japanese. Sure, they can say they learned Mandarin because of Michiko and Ryuta, but at the same time, why would they have Chinese names if they are supposed to be Japanese? Atsuko wonders how Ren Hu knows her name. Duh. Ren Hu offers to take her anywhere she wishes to go and Atsuko says she was looking for him. What’s going on now? We’ll have to wait and see as things are about to get more and more complicated.